Would you like to try volunteering but do not know how? 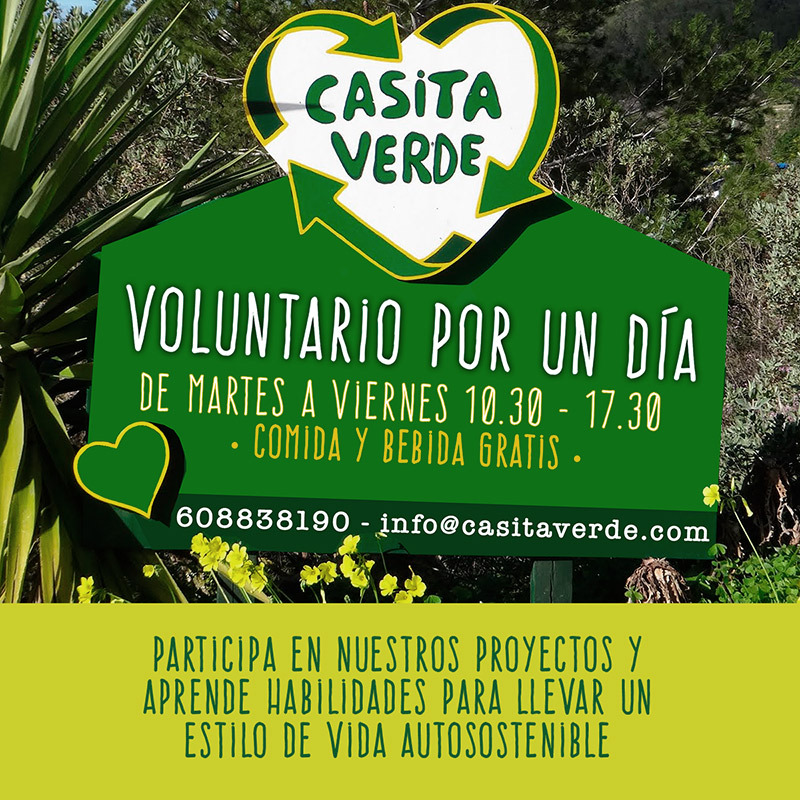 Casita Verde invites you to participate in their projects and be a volunteer for a day, do you dare? 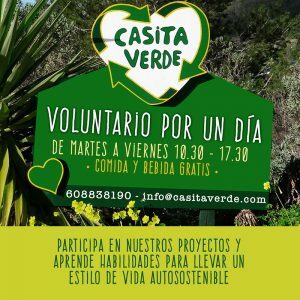 Casita Verde, the well-known ecological center, gives you the opportunity to become volunteer for a day, without any commitment and lending a hand in their various ecological projects on the island.